NOTE: Average delivery time 1-2 weeks. 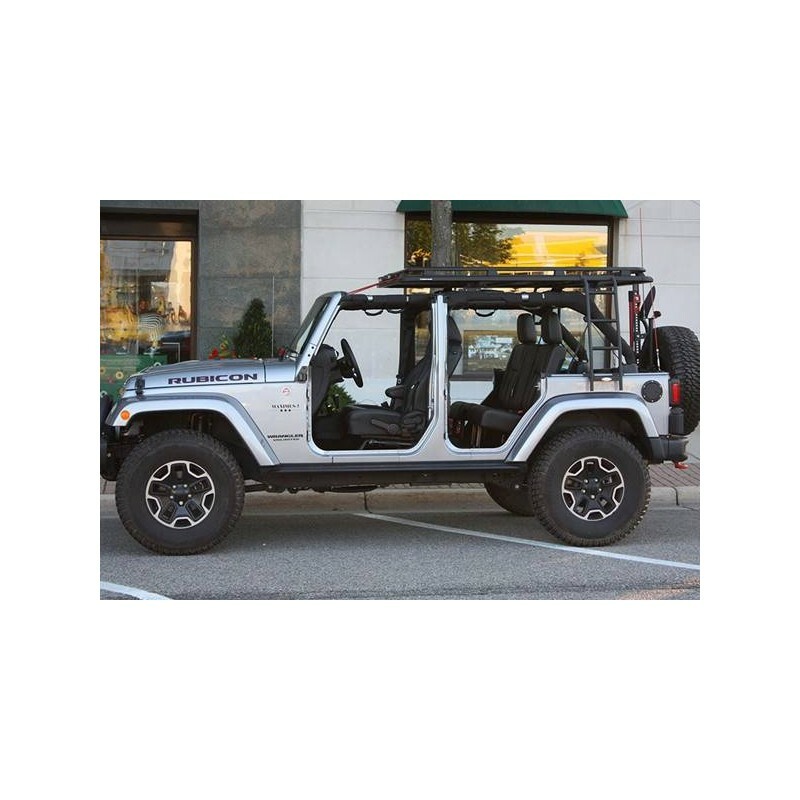 Maximus-3 Rhino Rack Roof Platform is the ultimate expedition accessory for your expedition and overland trips to increase cargo carrying capacity. 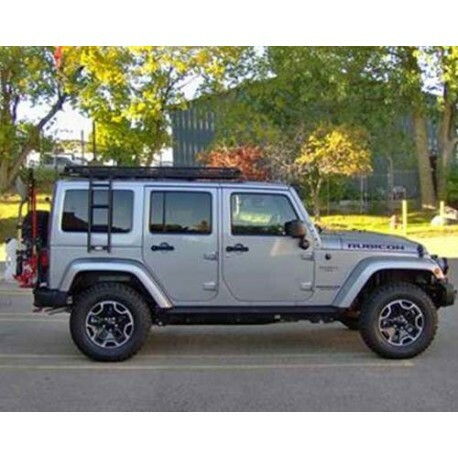 Our Roof Rack system utilizes Rhino Rack Pioneer Platform. 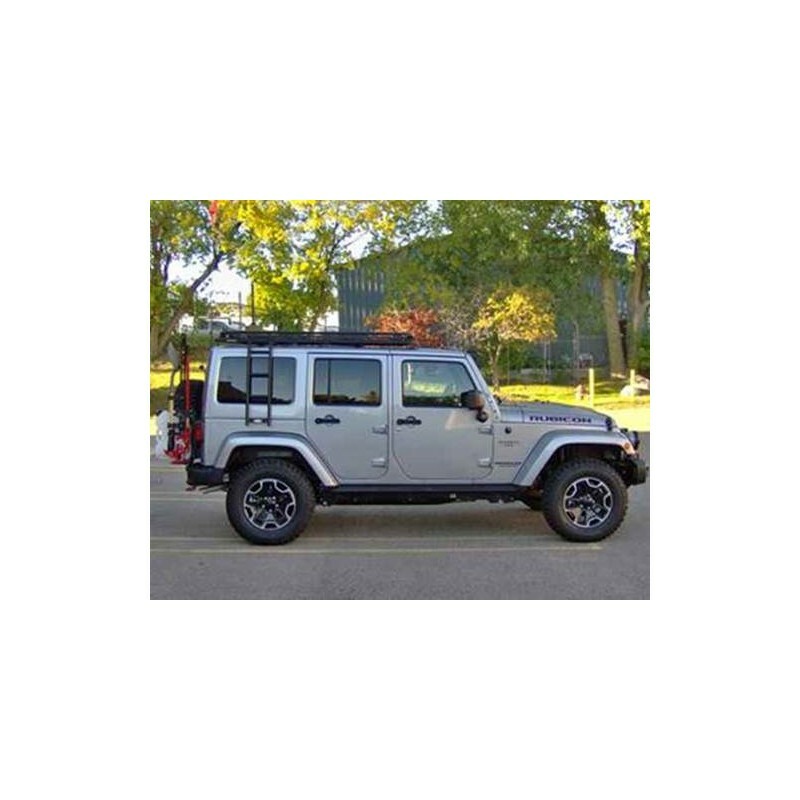 The design features heavy duty steel adaptor legs and internal load bearing brackets to transfer cargo weight to the JK roll bar. 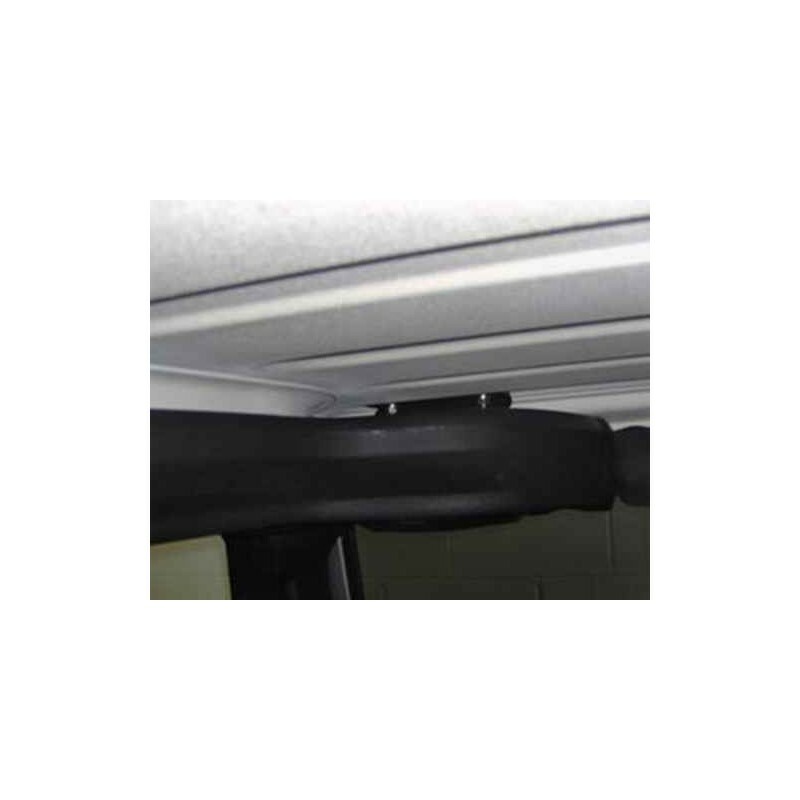 The steel mount assembly is well sealed with rubber gaskets to prevent leakage. 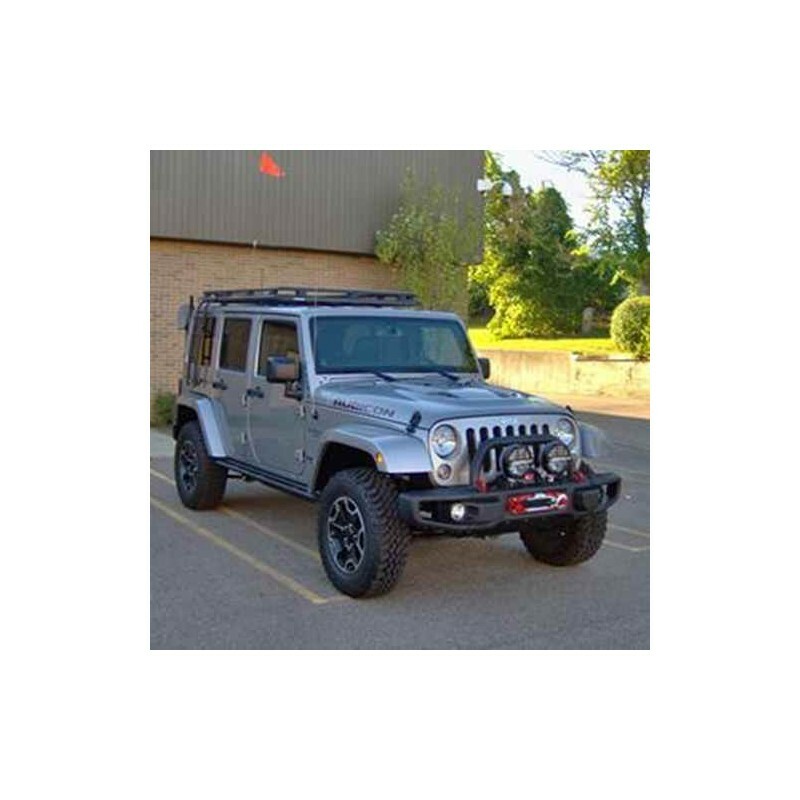 The Roof Rack/platform is a sleek, stylish and truly low profile design for better aerodynamic and wind noise performance. Loading and unloading your cargo is easy. Simply slide your gear onto the Platform and tie them down to the bars. 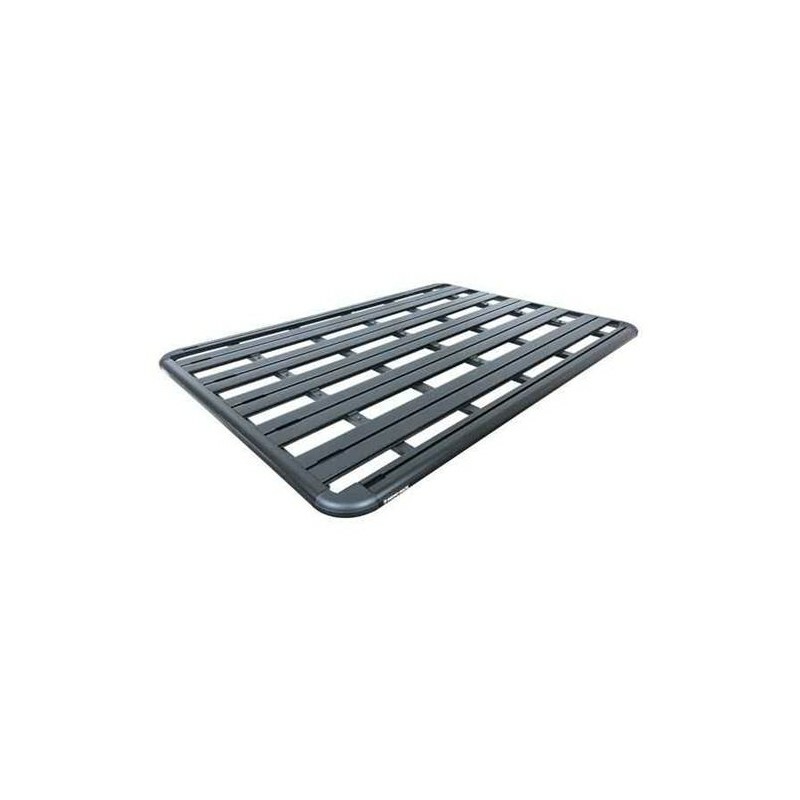 Optional side ladder provides easy access to the platform to arrange your cargo or climb onto the platform. 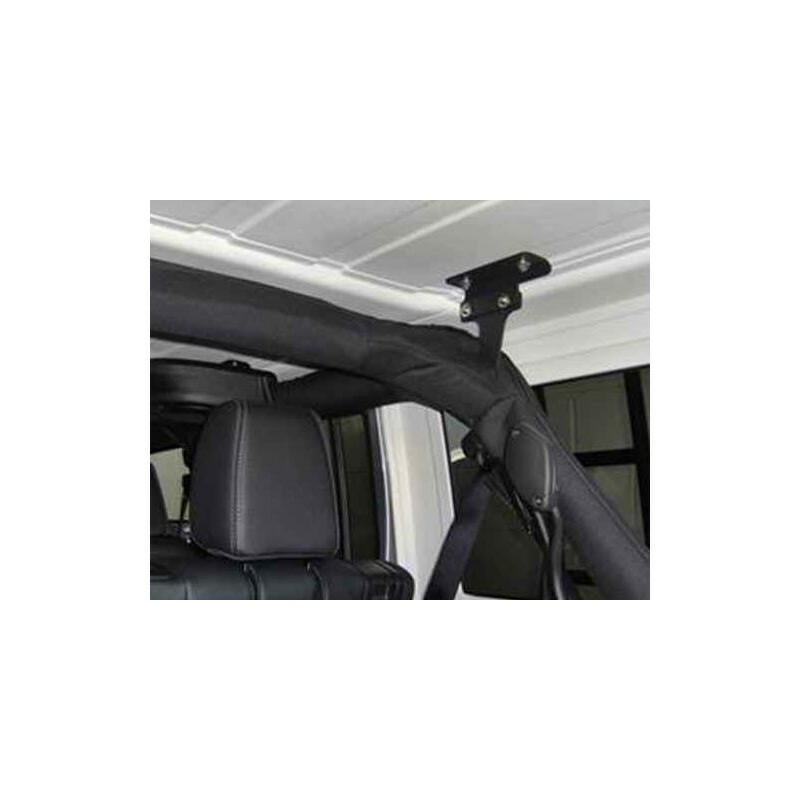 The system is designed to carry various existing accessories including luggage bags, jerry can holders, spare wheel holders, shovels and more. 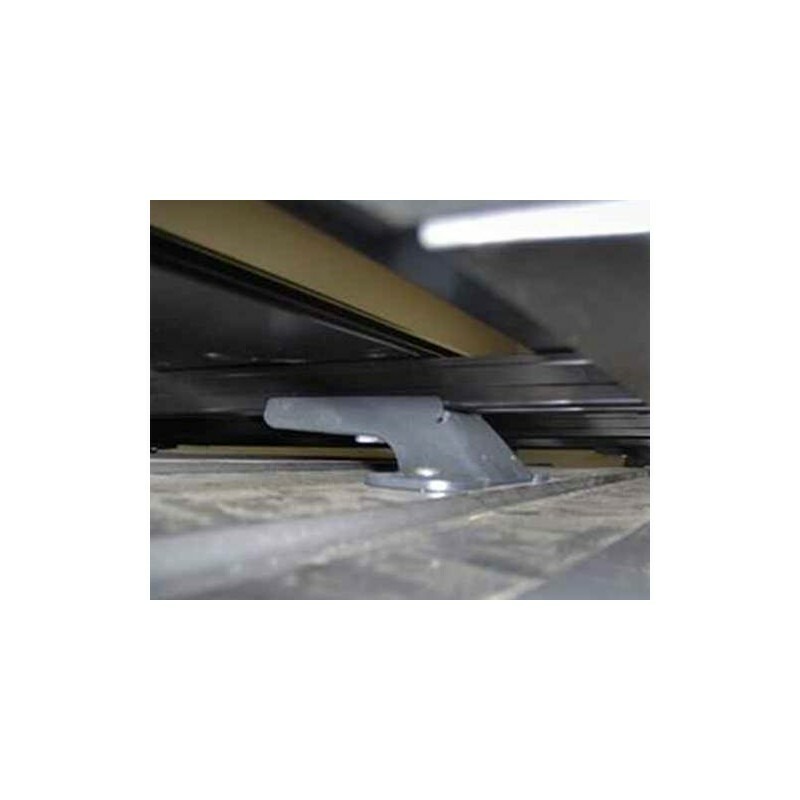 The platform can also be fitted with optional rails around the platform: full rail, back and side rails. 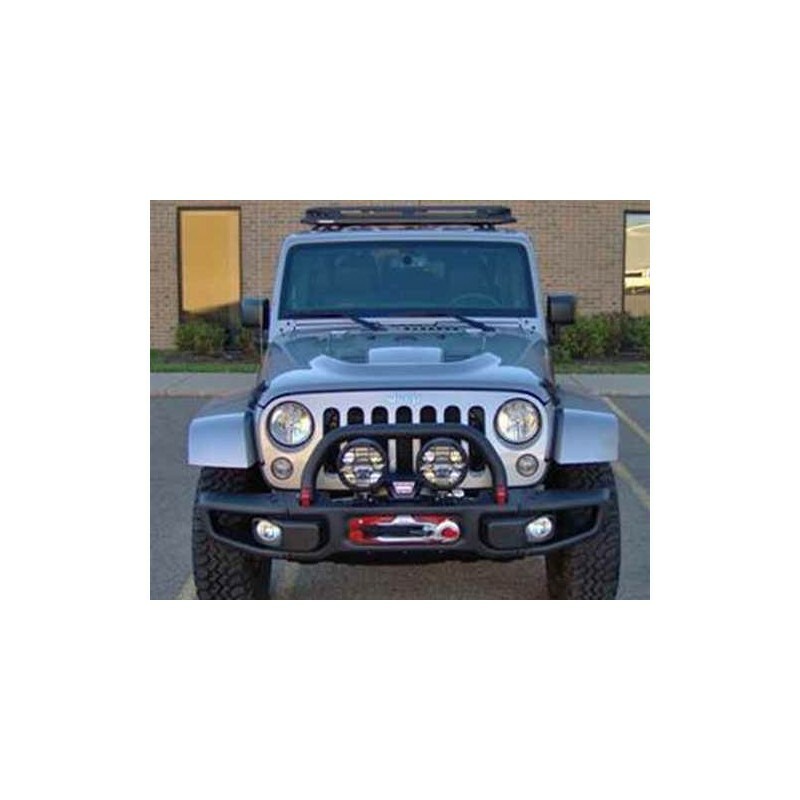 NB: Maximus-3 Pioneer Roof Rack system is not compatible with 2-door JK Wrangler.